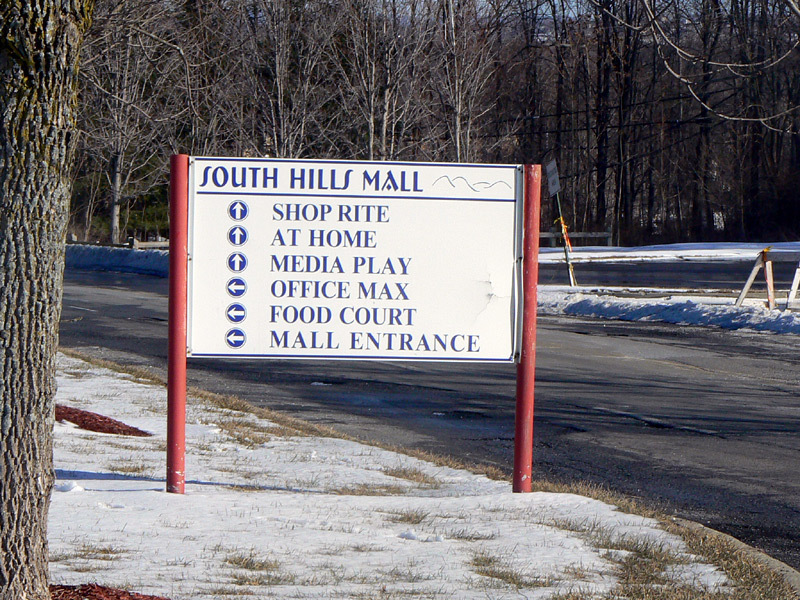 The South Hills Mall opened in 1976 along U.S. Route 9, which today is Dutchess County's primary retail corridor. Opened originally with Sears, Hess's, Kmart, and about 80 to 90 stores, this mall was built to primarily serve the Poughkeepsie area, as well as provide direct competition to the recently built Dutchess Mall 7 miles down the road. South Hills was a major player in the retail evolution that still exists in Dutchess County today. With the mall came other shopping centers and more stores opening nearby. 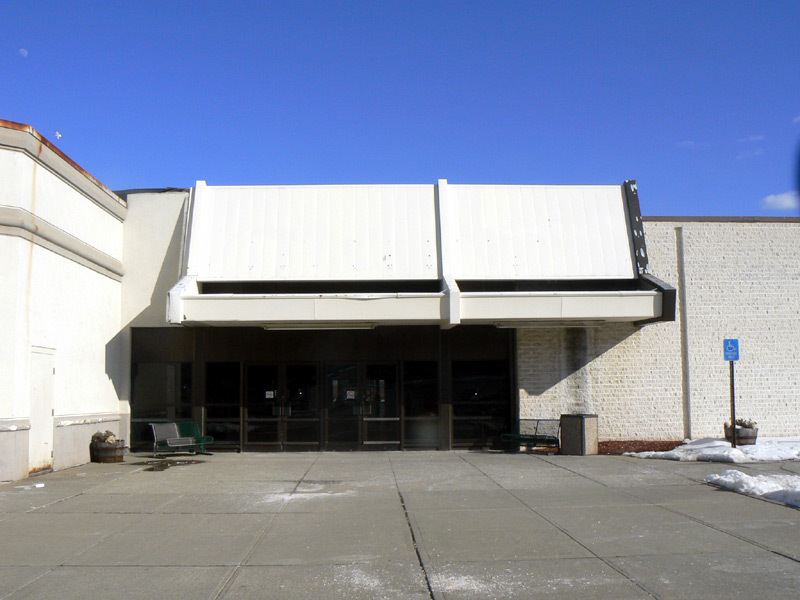 This ultimately led to the aformentioned Dutchess Mall's eventual demise, but also caused an influx of retailers moving to the suburbs from downtown Poughkeepsie. The mall did very well through the 1980's, but that would all change by the end of the decade. Developers sought to build an even bigger mall next door to South Hills, a move that caused great controversy in the area. It eventually was approved however, and the Poughkeepsie Galleria as it came to be called opened up right next to the South Hills Mall. Not only did this ultimately seal the fate of Dutchess Mall, it has slowly caused the death of South Hills as well. Sears stayed for a few years, but eventually took up shop at the galleria, as well as the majority of smaller stores that made up the mall. 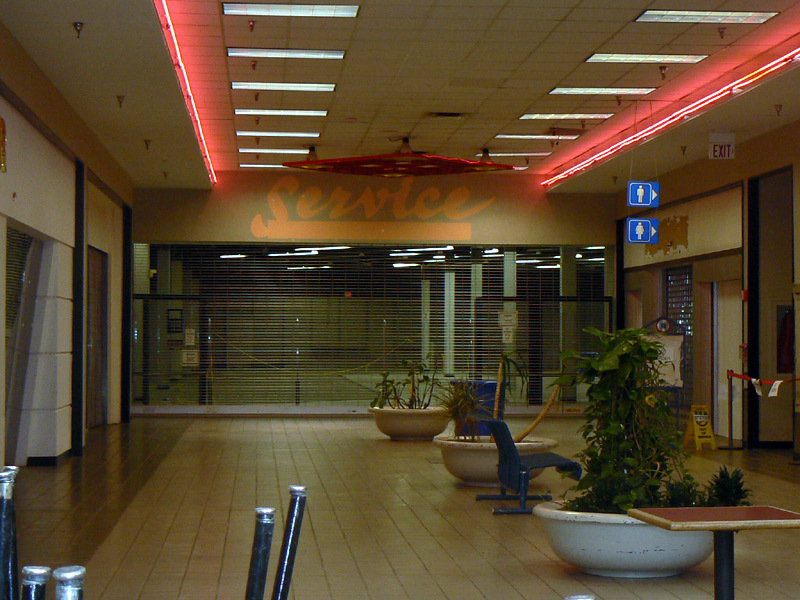 1995 brought the addition of Service Merchandise, which took up the majority of the old food court, but seemed to bring a small peice of life back into the mall. 1994 also brought in Burlington Coat Factory, which replaced Hess's. At this time, the malls new developer sought to attract more business by adding in stores that you would normally find in big box centers and other shopping plazas. Bobs Stores, Office Max, Namco, Media Play, Price Chopper, and Phar-Mor's affiliate Pharmhouse, all took presence in the mall throughout the mid to late 90's. While this did help the mall, it ultimately did nothing in the end, for half the stores they brought in would succumb to bankruptcy or move out of the mall altogether. 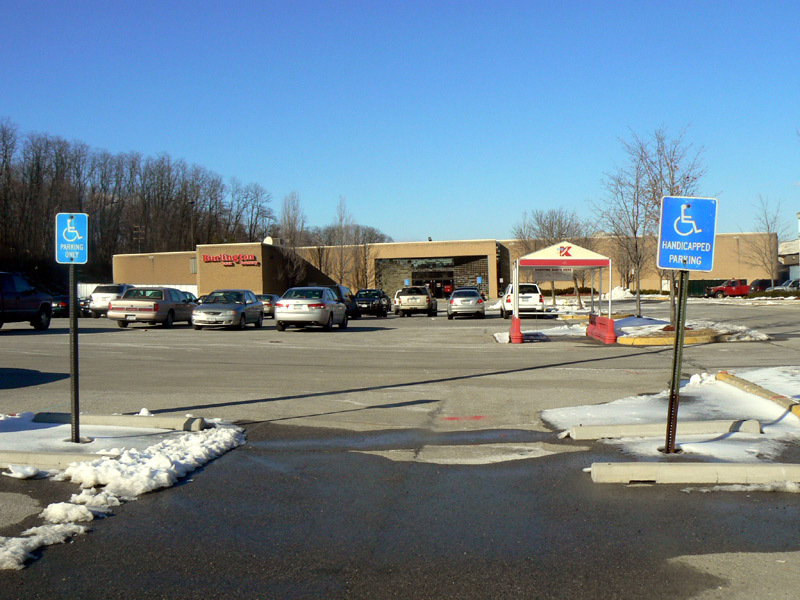 ShopRite took over from Price Chopper in 2007, and the only businesses remaining in the mall at that time were Kmart, Burlington Coat Factory, Namco, the cinemas and the outparcel Chuck E. Cheese. The mall finally closed its doors in 2008, and by the following year was repurposed into the Shoppes at South Hills. Most of the mall was demolished and repurposed. Kmart, Burlington, and the cinemas remained while the rest of the property was rehabbed to include Christmas Tree Shops, Bob's Discount Furniture, Ashley Furniture, Hobby Lobby, Pet Goods, and a few community oriented business such as a weight loss center and a frozen yogurt shop. The recent recession has hampered any further development, but the property has a new lease on life. 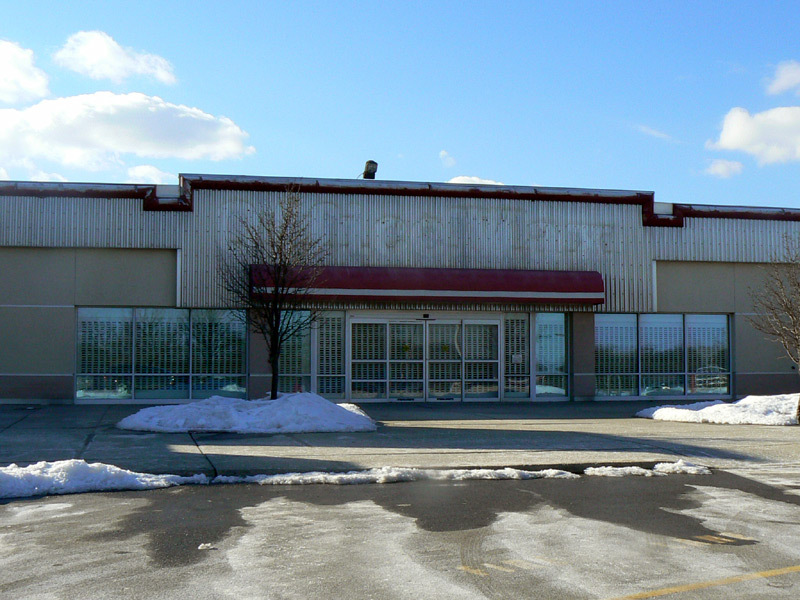 Kmart closed in August of 2016, and the space is rumoured to be redeveloped. Twenty Five years ago I was the manager of a small jean store in the mall called "The Shed House" (yes, that was really the name). It was one of a chain of stores that originated in northern NY near Albany. The store mainly focused on selling Lee and Levi jeans. There were other casual items sold such as belts, cotten t-shirts, jean jackets, etc. It was popular at the time, the predecessor of a "Gap" or an "Old Navy". I remember that the dressing rooms were above the floor of the store. You would have to hike up a flight of stairs to get to the dressing rooms and you were only allowed to try on one item at a time. Next to the store was a store that sold hot dogs and some type of fruit shakes. Next to "The Shed House", "Teepeedashery" moved in. Another popular casual clothes store. Back in 1979/1980, The South Hills Mall was one of the new, hip places to shop. I remember walking through the mall when it was being built and thought that this would be the demise of the Dutchess Mall which was about 6 miles south. South Hills is not quite dead yet, but it is dying. Sad to say, but true. I miss those days of the early indoor malls. Todays malls are not the same. 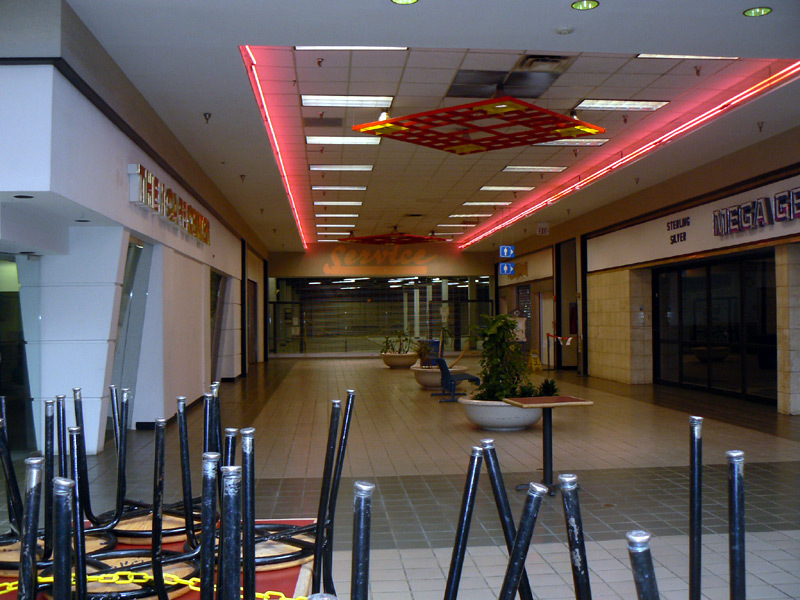 My only hope is that the "dead malls" can be reinvented. A good land resource for housing in the area, since housing is so scarce. Hopefully someone will get a clue and think about the possibility of bringing the malls back for people, but this time to give people a place to live and maybe include some indoor shops for them too................like a mini-indoor Dutchess or South Hills mall. This mall is dead, it just hasn't realized it and continues to insist on holding down the ground beneath it. Now that Target has opened in the neighboring Galleria, K-Mart's already numbered days are likely shrinking fast. That will literally kill the southern end of the mall, since OfficeMax was never very popular, especially with Staples just down the road. The Food Court is a shadow of its former self, and the only life seems to come from Price Chopper and Media Play down at the end. I have SUCH fond memories of this mall from when i was growing up. back when the food court was in that huge space that Service Merchandise took over, then later abandoned (now it's just empty space). 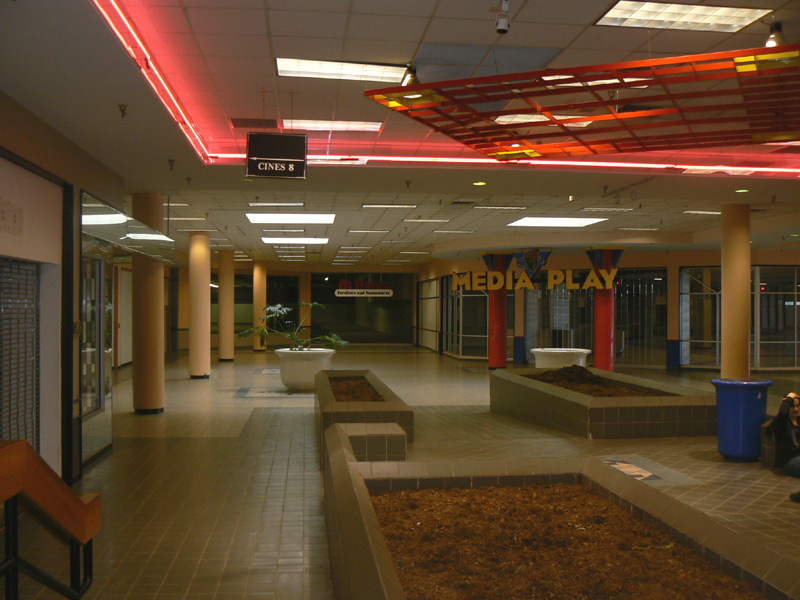 I used to go there all the time with my parents, and check out KB Toys (gone) and Radio Shack (gone) and my eye doctor (moved to the Galleria, like so many others) and...well, let's face it, most of the stores are gone. All the fun went next door to the Galleria. And I just wonder what zoning planner had the bright idea to allow 2 malls next to each other and them have them fight to near death? Remember when Santa and the Easter Bunny used to be in center court, before they plopped the food court there? Now they're off to the side....at least, if I recall correctly, they're on the quasi-live side of the mall, which is a matter of opinion, being live at all. Probably the only unique store they've got carries a few tons of Japanese anime and other otaku-type products. Here's hoping, right? I never see a soul in there though. It's so terribly pathetic compared to my memories of this mall in it's heyday. One of my fondest was seeing this show put on by this wonderfully talented mime girl who strolled down the mall dancing and doing magic tricks. I never did get the chance to find out who she was (if you know, please contact deadmalls.com) but I remember vividly how talented she was. They don't seem to do things like that anymore, at least, not that I've heard. It used to be fun...now it's just sort of there. Anyway, enough of memory lane. It's just time to put this mall to rest...it's been on life support so long it's really ruining the good name that it once had, and turning into a bit of a bottom-feeder. And it's a terrible thing to happen to the first real mall the area had. The first thing built on this site was the Sears store, which was originally freestanding. Sears was arguably the first mid-market department store in the suburbs around Poughkeepsie. Some years later, the mall section was built, including KMart. Locals were amused by the name "South Hills" which has no connection to any geographic name in the area. 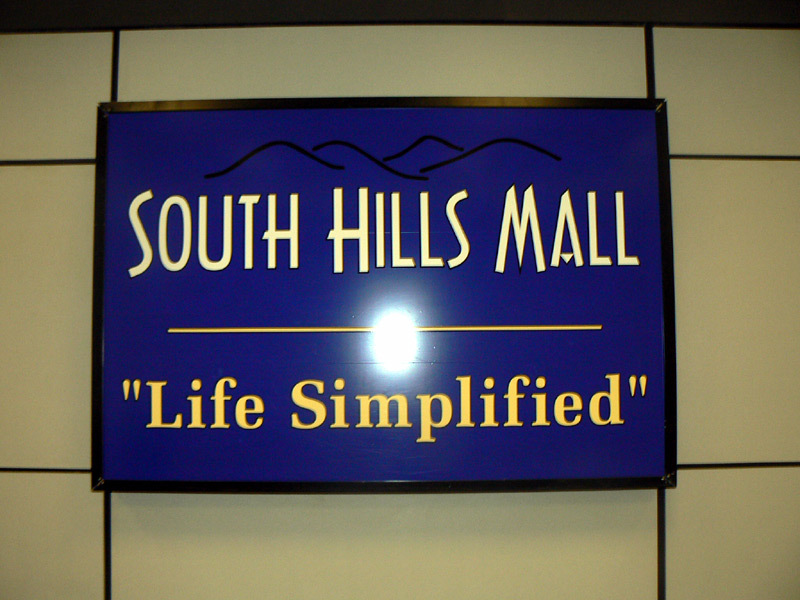 For most GenXers, South Hills was the first REAL mall in the area. "Decor" included charcoal color brick inside and out, planter islands, and concrete floors painted with groovy red and yellow triangle designs, especially in the Sears end. Early (if not initial) tenants included Radio Shack, Waldenbooks, Mack Drug (later CVS), Family Dental Center, Dress Barn, Great Expectations hair salon, Record World, Hello! (Hallmark store), Park Place roller rink, Dream Machine video arcade, Teepeedashery, Howlands, and others. In the early 1980s, a western wing was added, including a rather extravagant (for Poughkeepsie) Hess store, Benetton, and others. 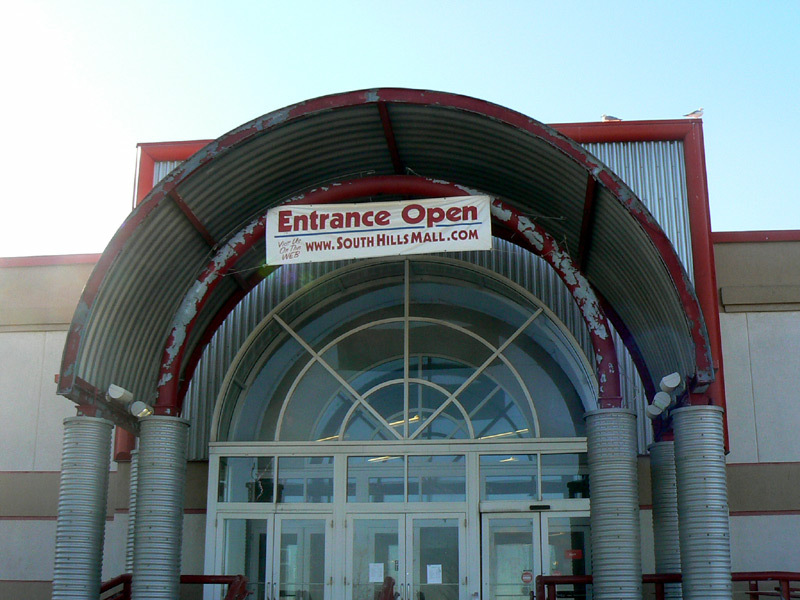 South Hills Mall peaked in the early to mid 1980s, and began a rapid decline after the development (by the Pyramid company) of the extremely controversial, more upmarket Galleria mall right next door. After the construction of the Galleria, South Hills Mall was sold to Dutch property company Sarakreek, which changed the property strategy to a "power center." Tenants such as OfficeMax, Pharmhouse, Bob's, Media Play, and Price Chopper arrived - and many still remain. Many other smaller, interior tenants and national chains closed or moved to the Galleria. Today, the mall is at least 50% vacant. As of last winter (2002/3) the only early tenant remaining is Family Dental Center, whose facade is unchanged since day one. 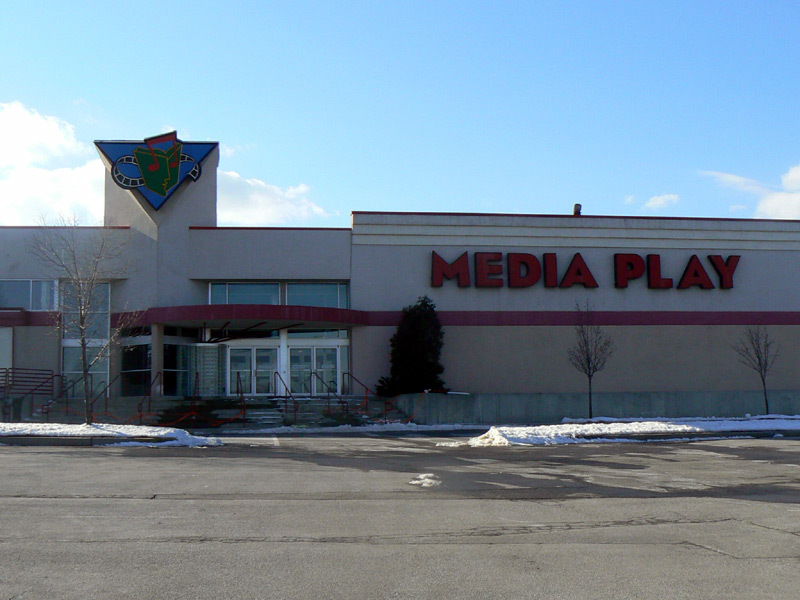 Languishing in the shadow of the nearby Poughkeepsie Galleria, is the South Hills Mall. Constructed in 1974, South Hills was anchored by Sears, K-Mart, Hess and Service Merchandise. Sears relocated to the Galleria in 1987, and Hess closed it's doors shortly thereafter. Price Chopper sealed half of the Sears space from the mall, and opened up shop, and and Media Play and Pharmhouse chopped up the remainder of the space between them. Burlington Coat factory moved into the Hess location. Secondary stores and empty storefronts are common sight in the northern and middle sections of the mall. South Hills Mall has found a niche in catering to the misfits of Poughkeepsie. The only truly healthy area of the mall is the southern end of the mall where Office Max, and Bob's stores have opened up near K-Mart. Old Navy also has a large storefront in the mall. The only glimmer of hope for South Hills is to keep recruiting larger, big box style tenants such as these. Leaving deteriorating store fronts like "The Car Phone Store" just date the mall even more (Old Navy Shoppers traded in thier car phones for cell phones about 10 years ago). If South Hills Mall cleans up its act, it might have a future. Exclusive photos by Jack Thomas. Dates range from 2005 to present day. South Hills mall from a satellite in space.